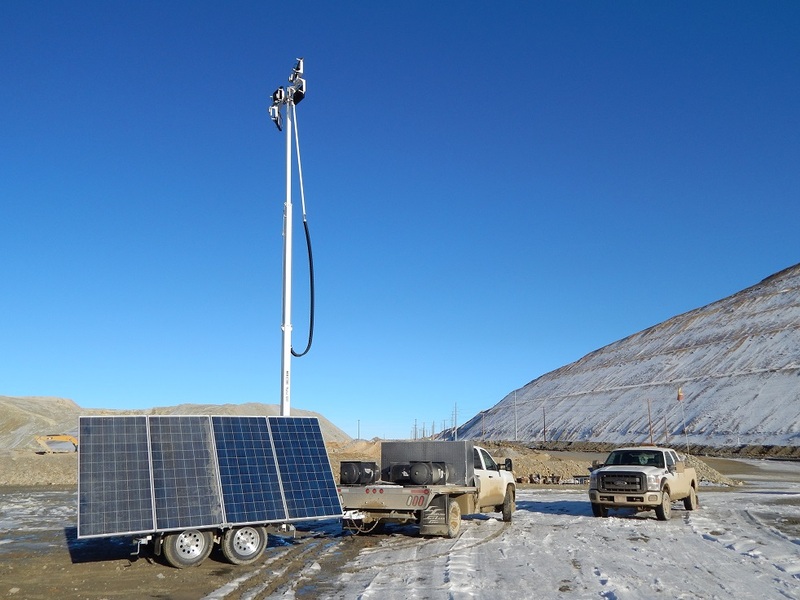 Mobilight International serves the mobile light tower needs of the mining, gas and oil industries on several continents. We exclusively take care of the mobile light tower needs of the largest open pit copper mine in the world. Our products are made to perform and be durable under the most extreme conditions, which make them ideal for the challenging conditions of the mining, oil and gas industries. We have light tower units that are still fully operational after 20 years in the field. 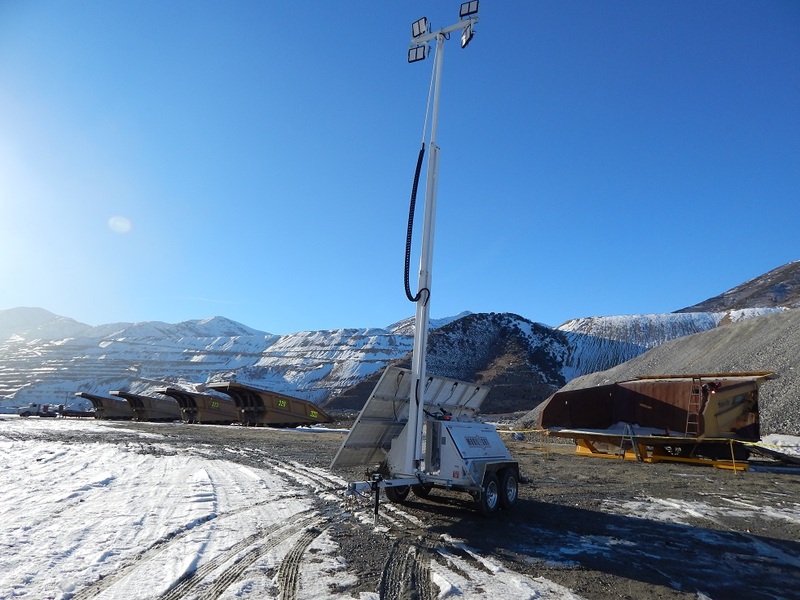 In order to validate the benefits of the Mobilight Hybrid Light Tower, a field study was performed at the largest gold producing mine in the world. * With an average run time of 3 hrs per day, they only had 12% of their normal run time on the engine and generator. Including the automated on/off function and remote monitoring, projected savings over a ten year period is well over $325,000.00 per unit. This did not include savings on maintenance, engine and battery wear, and light replacement. *The amazing statistic of this performance was it was accomplished in the month of February 2014, when the cloud cover and weather were most extreme. -Fuel tank sizes are based on common capacity of light towers in the field versus specified capacity of Mobilight Hybrid Light Tower. -Low wage rate is based on industry statistics on entry level employment salaries in the oil, gas and mining industries. -Fuel usage is defined as: engine usage of diesel fuel at a rate of .65 gallons an hour. -Fuel cost is defined as: the common cost of diesel fuel ($4.00 a gallon) x the rate of engine usage an hour (.65 gallons an hour) x the number of hours of engine run time. -Labor cost for checking unit daily is defined as: the low wage rate ($22.00 hr) x amount of hours serviced (1 hr per day).Labor cost includes the daily turning on and off of lighting equipment and checking of equipment operational status. It does not include refueling, regular maintenance, parts replacement labor or material costs. -Labor refueling cost is defined as: the cost of labor to and from unit at the low wage rate ($22.00 hr) x the amount of hours serviced (1 hr per visit) for the specific purpose of refueling. The time required for tower lighting varies with the season, but tends to average around 10 hours per 24 hr cycle. However, it is very common that these lights run 24 hrs a day, simply because personnel are just too involved with current projects to get to the light towers, which results in dramatic fuel costs. The common capacity of light towers is 35 gallons. Many industries just look at this situation as the cost of doing business. So we have included a cost analysis on the constant running of light towers 24 hrs a day because it is a very common occurrence. Now, let’s address the cost of labor for inspecting the unit daily to check fluid levels and operation. A one hour a day round trip at $22.00 hr results in a cost of $8,030 a year. Not to mention the lost time in productivity of personnel away from their usual duties. Also with a fuel consumption of 15.6 gallons every 24 hrs, a 35 gallon tank needs to be filled every 2 days. Once again, that is a 1 hour round trip at $22.00 hr. At 180 visits a year, it results in a cost of $4,015 a year. And rarely do daily checks on equipment coincide with refueling requirements. You will notice that these combined costs add up year by year to a fuel and labor cost near $350,000 per light tower over a ten year period. As we mentioned in the 24hr analysis, the average light tower time needed, taking into consideration the varying time of seasons, is 10 hours every 24 hours. To make sure that light towers are turned on and off at the rights times, per the changes in seasonal light, would take a very disciplined and efficient schedule. But we need to consider this method, though rarely done, it can be achieved. Again, if you take a look at the supporting data on 10 hr usage the fuel consumption is 6.5 gallons every 24 hrs. At a diesel fuel cost of $4.00 a gallon, it reflects in a fuel cost of $26 a day. With daily usage, the fuel cost for a year is $9,490. Again there is still is cost of inspecting the unit daily to check fluid levels and operation. A one hour a day round trip at $22.00 hr results in a cost of $8,030 a year. Not to mention the lost time in productivity of personnel away from their usual duties. You will notice, even with a very disciplined and efficient light tower schedule, there is a combined fuel and labor cost of over $191,000 over a ten year period. The Mobilight Hybrid Light Tower has full automation including an integrated light sensor that adjusts to the varying seasonal light tower operating requirements. It can also be set for exact on/off time schedules with a programmable timer, if needed. This eliminates the need for personnel to turn the lights on and off and adjust schedules to meet light tower operating requirements. If you a take look at the supporting data, the hybrid tower fuel usage is 1.95 gallons every 24 hrs. At a diesel fuel cost of $4.00 per gallon, it reflects in a fuel cost of $7.80 a day. With daily usage, the fuel cost for a year is $2,847. You will notice that there is a combined fuel and labor cost, including monitoring, of $34,436 over a ten year period. Then there is the return on the investment (ROI) on the Mobilight Hybrid Light Tower. On page two of the data sheet, we amortize the investment in Mobilight Hybrid Light Tower over the first year and combine it with the fuel and labor costs. After the 13th month of operation, the Mobilght Hybrid Light Tower has paid for itself versus the common light tower operating 24 hours a day. In other words, by the end of the 13th month, the same cost has been incurred by the use of the common light tower as the Mobilight Hybrid Light Tower, which includes the purchase of the unit. By the end of the second year, the Mobilight Hybrid Light Tower cost, including the original purchase price, is the same as common light tower operating 10 hours a day. And as stated before, unless very strict procedures are put in place, it just does not happen. And from the very first day, the fuel and labor cost of the Mobilight Hybrid Light Tower is dramatically less at $283.97 per month, compared to the common diesel light tower operating 24 hrs a day at $2,901.75 per month, and common diesel light tower operating 10 hrs a day at $1,593,83 per month. This does not include the savings in lighting life, engine maintenance and equipment replacement costs because of the significant reduction of engine running times, LED lights, solar energy and automation. *The staff at the world’s largest gold producing corporation, with numerous mines located in northern Nevada found, per their own research, they would save $23,000 per year in fuel costs alone on each unit they now have in place. They did not have to refuel the Mobilight Hybrid Light Tower unit during the entire 30 day period. In fact, they still had over 30% fuel left in the tank. That means they would only need to fill up our Hybrid Tower unit fuel tank approximately 9 times a year! Their current consumption is 180 refuels, or refuels every other day (very common to the oil, gas, mining and construction industries).With an average run time of 3 hrs per 24 hrs, they only had 12% of their normal run time on the engine and generator. With the automated on/off function and remote monitoring, projected savings over a ten year period is well over $325,000.00 per unit, This did not include savings on maintenance, engine and battery wear, and light replacement. And the amazing part of this performance; it was accomplished in the month of February 2014, when the cloud cover and weather was most extreme.